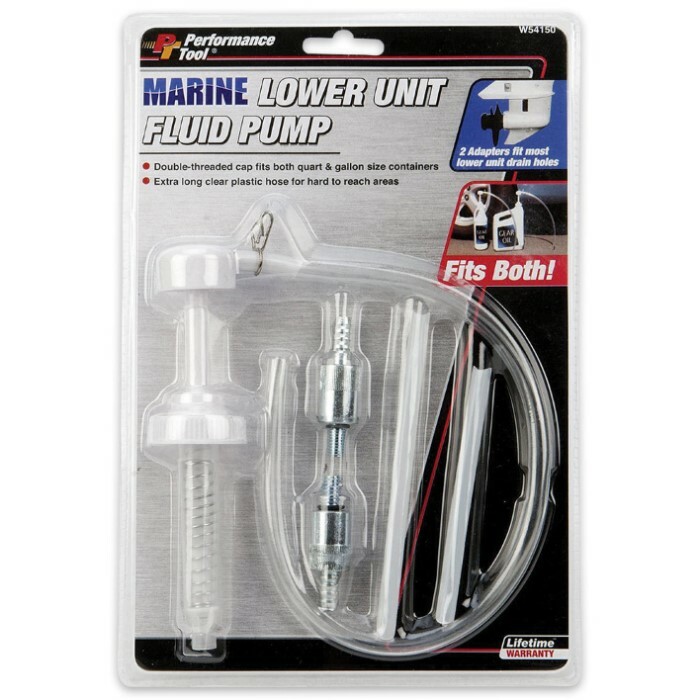 Marine Lower Unit Fluid Pump | BUDK.com - Knives & Swords At The Lowest Prices! The Marine Lower Unit Fluid Pump has a patented double-threaded cap that fits both the quart and gallon size lubricant. 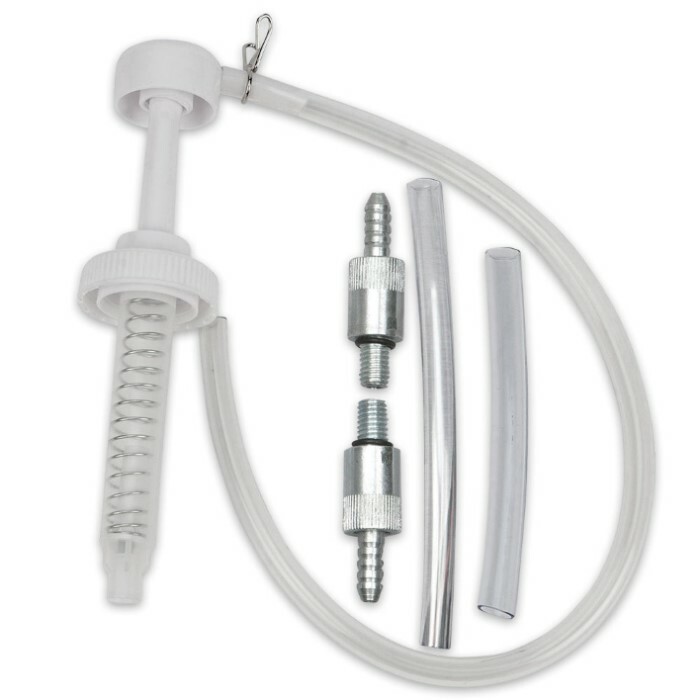 The 24" flexible hose easily reaches difficult to access fill plugs. The 3/8-16 fits OMC, Mercruiser, Evinrude, Johnson, Volvo, Force, Honda 70hp and up, and Mercury U.S. origin and the 8mm fits Yamaha, Nissan, Tohatsu, small Honda's, and Mercury Japanese origin.